Quinn Stumpf, 2, who suffers from a neurological disease, smiles as she plays with her grandmother. Quinn's family uses cannabis oil extract that eases some of the pain. A young boy hangs out near the pens during a rodeo at the Johnson County Fairgrounds. Police officers from Iowa City, Coralville, DCI and state patrol surround 1305 Sunset Street during a 4-hour standoff. Flooded area around the Iowa River is seen on Tuesday, June 4, 2013. 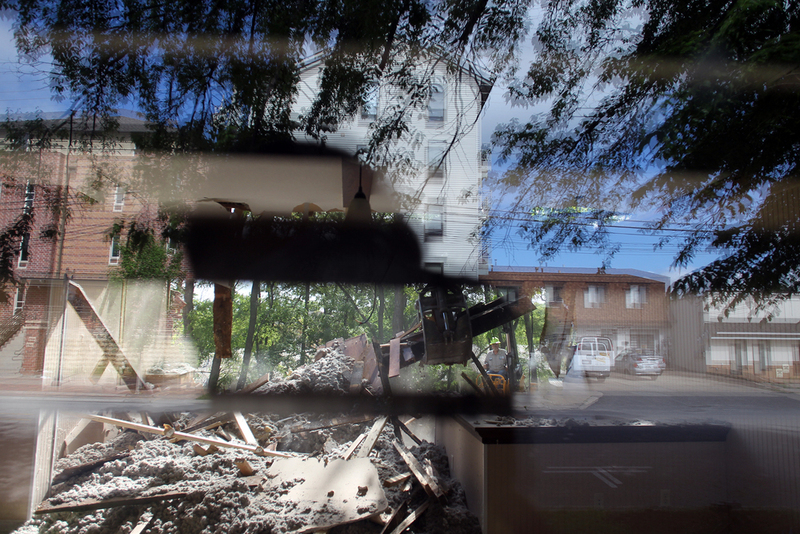 The second of three Civil War-era cottages on Dubuque Street is torn down. Police officers and sheriffs secure the Coral Ridge Mall food court following a shooting. Jerry Lindeman, 73, uses a 1953 tractor and a harvester from 1940 to harvest oats on his farm in Solon. The grand entrance to the Iowa River Landing for RAGBRAI riders is raised into place. Lance Tillison bikes through a flooded road off of Highway 22 in Riverside as he makes his way back to Iowa City. Cattle take shade at the Johnson County Fairgrounds. Iowa City firefighter Jason Jordan rappels down the Court Street parking ramp during a high-rise emergency training. Smoke fills the air from the Iowa City landfill fire. Blake Shelton performs at the Back Porch Revival concert at Kinnick Stadium. Iowa City Police officer Alex Stricker cuffs a man involved in an attempted robbery at Yacht Club early Sunday morning. 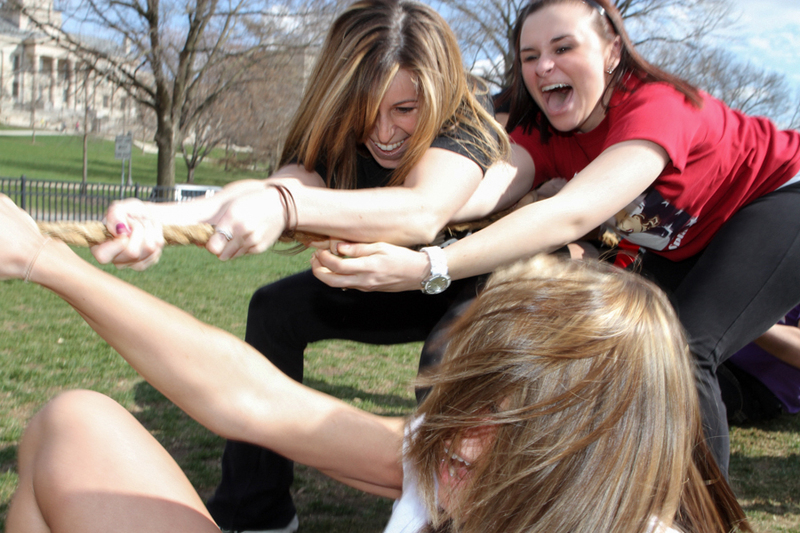 Delta Gamma sophomores Shantel Kahrs, bottom, Megan Dougherty, top left, and Mikayla Logan get pulled to the ground during a tug-of-war in the Greek Olympics. Spectators wait for the demolition of the parking ramp on First Avenue NE in Cedar Rapids. 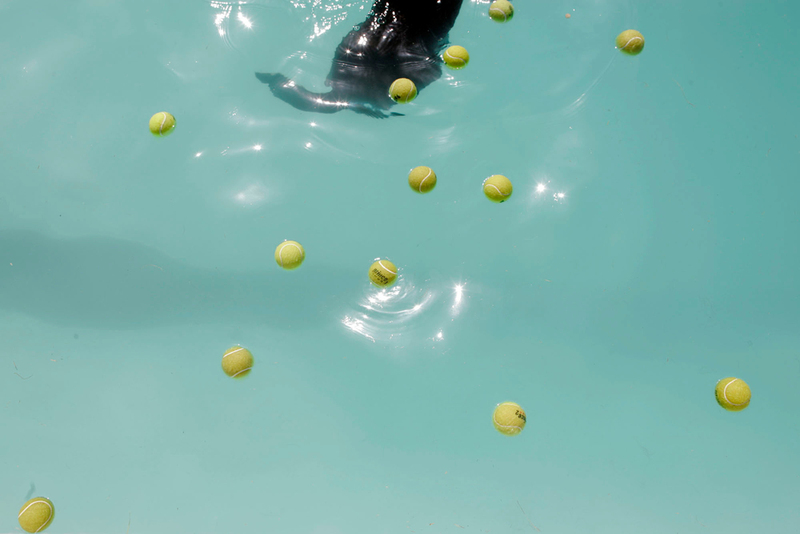 Tennis balls float in the water at the K9 Splash event at Bever Pool. Spc. 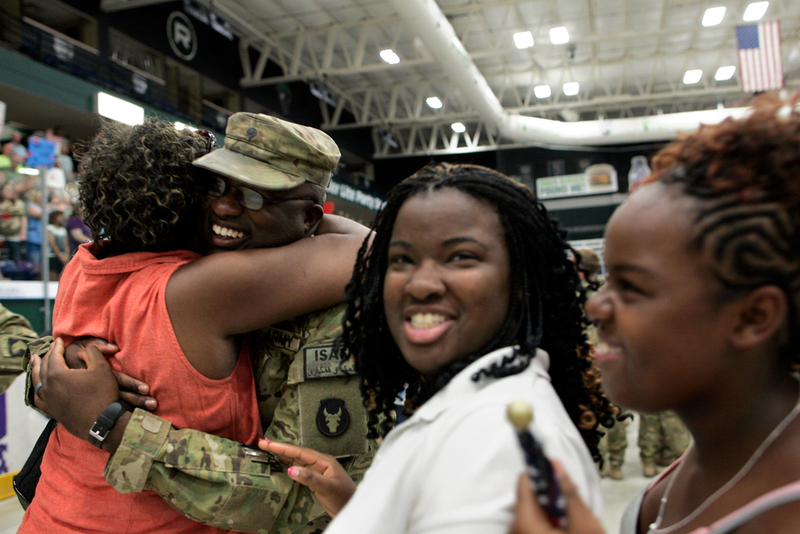 Christopher Clark hugs his mother, Mary Roberson at a welcome home ceremony for members of the Iowa Army National Guard.